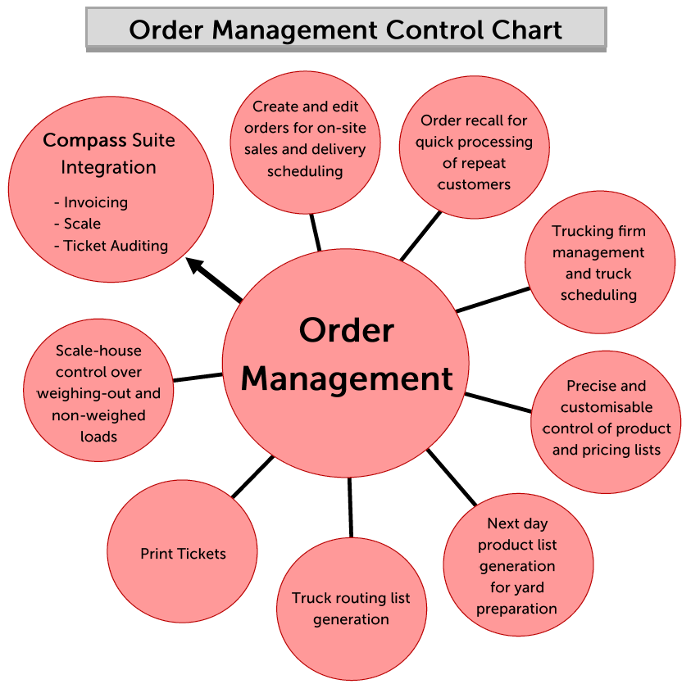 Order Management is designed to organise orders for error-free processing and dispatch. Order Management tracks customers, products, costs, and fees, and offers a detailed Dispatch control to schedule trucks and delivery times. A module in the Compass suite of software, Order Management is designed to organize orders for error-free processing, dispatch, and delivery. Order Management tracks customers, products, costs, and fees, while also offering detailed Dispatch control to schedule trucks, products, and delivery times across any number of locations. Easily update deliveries, add and edit orders, print statements and tickets, process weigh-outs, reverse shipments, and generate truck routing lists. Dispatcher has full visibility of delivery schedule and can easily weigh-out trucks. Effortlessly handle cash sales and non-weighed loads. Clear summaries of all delivery sites and products, avoiding costly mistakes. Discover the efficiency of integrating all your business analytics and customer data into a software ecosystem designed for your industry. 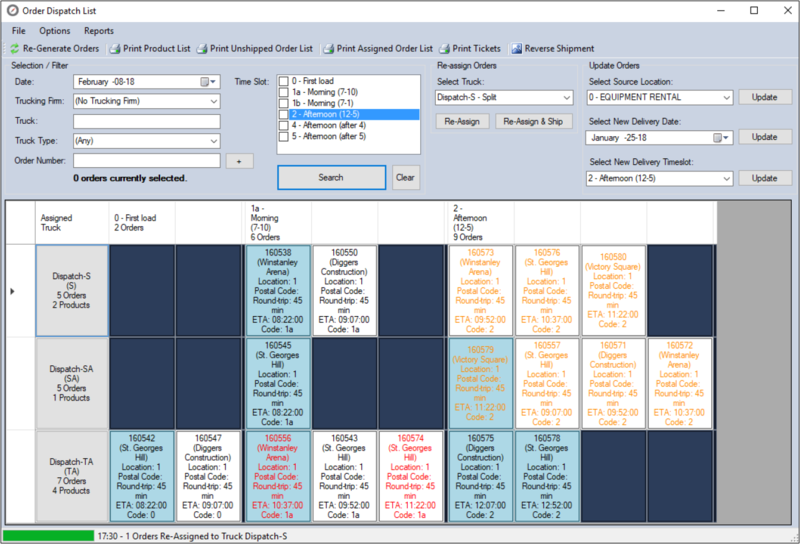 The Order Maintenance screen allows for on-the spot creation of new orders, including trucking and customer details. This is useful for in-person, web and phone sales, and for setting up future deliveries for existing customers. In Order Reports, access order details, summaries. and customized reports such as Air Miles. The Dispatch List screen allows easy visibility and control of which truck will deliver each order and when an order will go out. This dispatch list can be updated to change delivery truck, reverse a shipment, flag a shipment that is outside of customer expectations, and edit orders (delivery date, time, source location).